When George H.W. Bush and Barbara Pierce met in 1941 at a school Christmas dance just days after the bombing of Pearl Harbor, they likely wouldn't have predicted that the encounter would result in the longest marriage in U.S. presidential history. 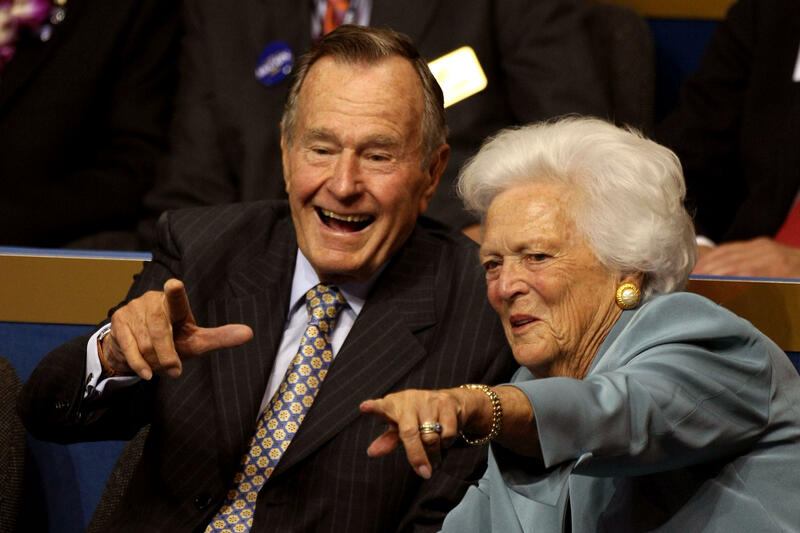 Former President Bush and Barbara would be married for 73 years by the time she passed away in April of this year. He would follow her in passing eight months later. It was a marriage, as they and their children have said, marked by deep, abiding love. The former president, who married Barbara on Jan. 6, 1945, described their love story as a "storybook" romance. Looking back on their decades of marriage in a collection of letters published and released in 1999, the former president wrote of his wife, "You have given me joy that few men know." Barbara Bush used to say, "I married the first man I ever kissed. When I tell this to my children, they just about throw up." The Bushes leave behind five children, including former President George W. Bush, and 17 grandchildren. Still, their life together wasn't always filled with joy. The death of their three-year-old daughter Robin to leukemia was a devastating blow. But, the couple said even that most tragic event brought them closer together. Their love also endured what became one of the most successful, but challenging, political careers in history. George H.W. Bush, who served in the Navy during World War II, went on to serve as U.S. Ambassador to the United Nations, CIA director, congressman, GOP chairman, vice president and of course, president. She encouraged him all the way along. The former president was "broken-hearted to lose his beloved Barbara," as Jean Becker, the chief of staff for George H.W. Bush's office, said when she passed. "He held her hand all day today and was at her side when [she] left this good Earth," Becker said at the time. Today, former President Barack Obama said, "After 73 years of marriage, George and Barbara Bush are together again now."